Welcome to the Krabi Boat Lagoon Marina, a stunning jewel that offers safe harbour for those chartering the great Andaman Ocean. You can find everything that you’d normally expect from a standard boating Marina and more in this expansive and resourceful facility. If you want to be able to experience Krabi in a truly unique and refreshing way then read on and find out more about why the Krabi Boat Lagoon Marina is so special. You can select the ‘Marina approaches’ link in order to explore a number of maps that will show you the general layout of the Krabi Boat Lagoon enclosure – this is a great opportunity to explore our facilities before you arrive. There is a general overview map which clearly indicates where everything is located from the Workshop, the Fuel Dock, the Wet Berth and our awesome Club House. What are you waiting for? Start exploring now! Just to give you a little more information on some of the facilities that are available within the Krabi Boat Lagoon Marina: there is ample storage including a wet berth that can hold up to 80 boats and a hardstand that is designed to hold 100 and of course twenty four hour security (so that you can rest assured that everything is well-looked after and in hand) There is an electricity and water supply, high pressure washer facilities for cleaning your boat, wireless internet and telephone and fax facilities and of course our very own fuel dock for when you need to prepare for your next adventure out on the Andaman Ocean. You can access all of the relevant costing information by selecting the ‘Marina charge’ link- There you will see a comprehensive list of all of our prices from Utilities, Fuel and Communications. Please be aware that rates may be adjusted at any time without notice and all berthing fees are payable in advance. You can also choose from a variety of professional groups that offer standard services for your yacht or boat. 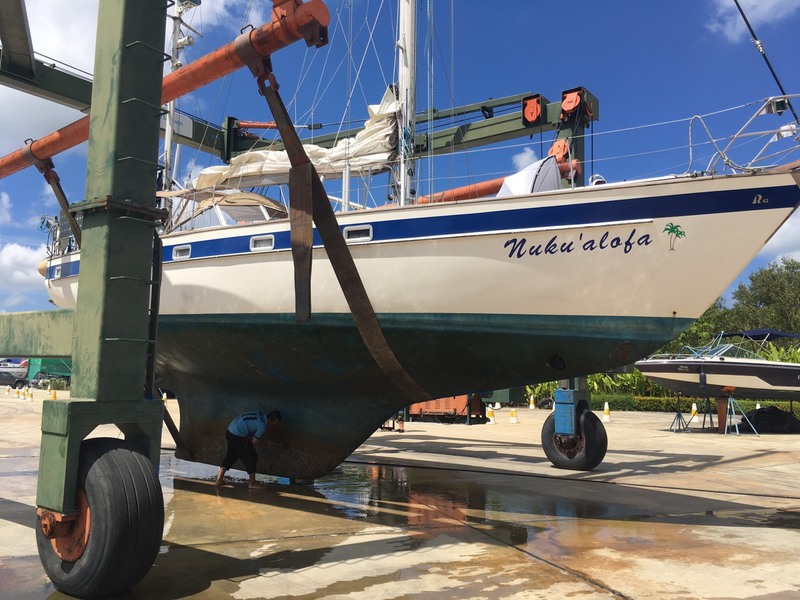 There is a workshop for inclusive boat maintenance, you can charter from a world renowned boat dealership, and there is a ship chandlery that offers a wide selection of necessities and more. The Krabi Boat Lagoon Marina is the sister property of the Phuket Boat Lagoon, where other similar services and facilities are offered. 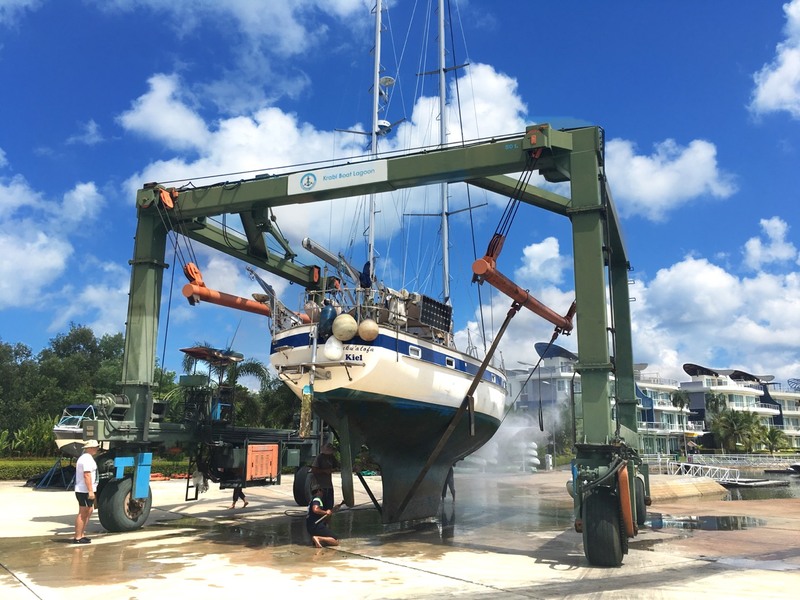 If you are an avid yachtsman and are looking for an exciting new location to explore then this Marina is most certainly the perfect place for you to stop by. For more information on any of our facilities or services then please feel free to get in touch with us at the main office at your earliest convenience. We will offer a prompt and professional response and endeavour to help in any way that we can. We look forward to hearing from you and greeting your warmly as you gently sail into the safety and hospitality of our magnificent and majestic Marina.